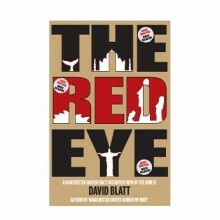 The latest offering from United Fan David Blatt, The Red Eye is a superb read of his round the world trip that he describes as 365 days, 90k miles, 4 continents,25 countries, 60 matches and 1 wife that hates football. For any normal individual, a round the world trip of a lifetime would mean abandoning all thoughts of everyday life and embracing a jetset lifestyle. Not so David Blatt. 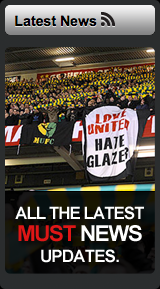 While his long-suffering wife Hélène embarked upon a 90,000 mile global odyssey with thoughts of ticking off as many of the world's wonders as possible, David felt the magnetic pull of the other love of his life, Manchester United, and the prospect of a whole year without watching Eric's Disciples on Earth. As David proves in The Red Eye, it is now possible to watch the world's most famous club from almost any part of the globe, with the honourable exception of the Galapagos Islands. From India to Brazil via most points in between, he catches The Reds on dodgy internet streams, at the back of beachside cafes, in restaurants, Aussie pubs and overcrowded hostel reception areas, while Hélène plans the next day's breathtaking trip to the likes of the Taj Mahal or Machu Picchu. What emerges is a sharply humorous and insightful account of a trip across four continents with the protagonists often at odds over the purpose of the day:Magnificent Utopia or Manchester United... No contest!